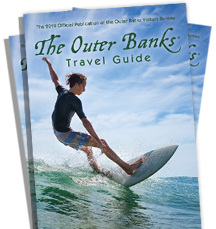 The Outer Banks of North Carolina is a sport fisherman’s paradise. The sheer quantity of angling opportunities makes our waters some of the best in the world. Brackish fishing, fly fishing, offshore and inshore charter fishing, sound and headboat fishing, surf and pier fishing – all with the season continuing throughout the year.